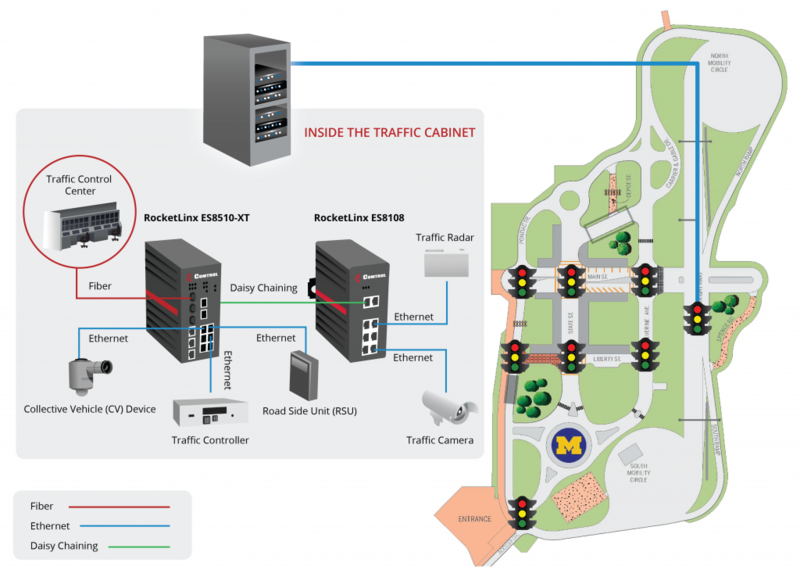 The University of Michigan, in partnership with the Michigan Department of Transportation, designed and built Mcity, a unique urban-suburban environment for testing connected and automated vehicles and systems. Mcity sits on a 32-acre site on the University of Michigan’s North Campus, with more than 16 acres of roads and infrastructure. 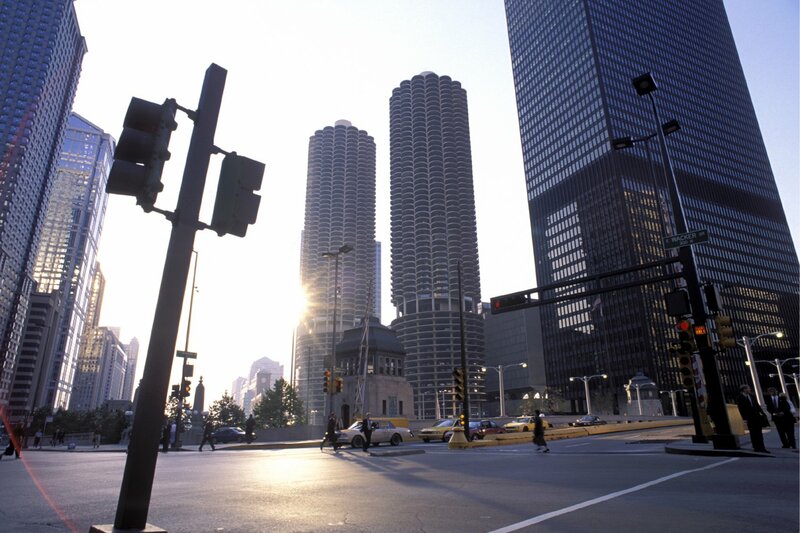 It includes approximately five lane-miles of roads with intersections, traffic signs and signals, sidewalks, benches, simulated buildings, street lights, and obstacles such as construction barriers. 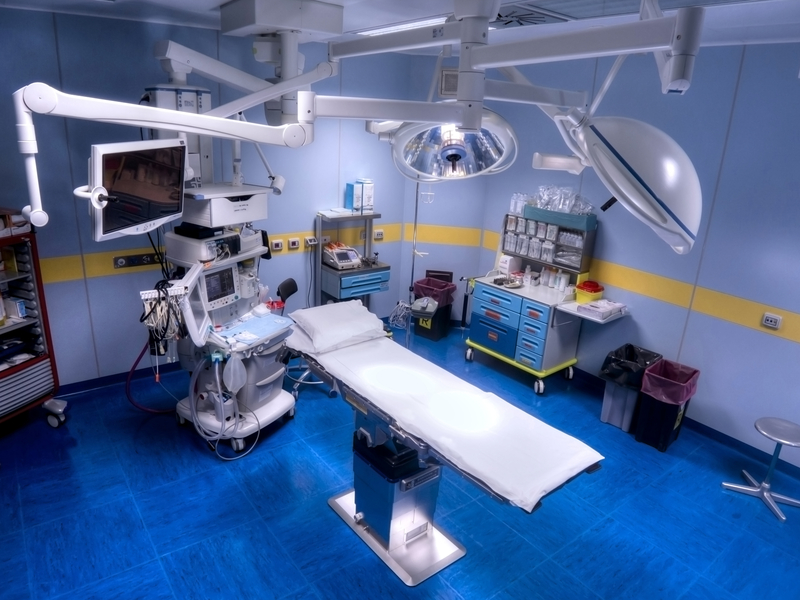 This environment allows the testing of new technologies, such as autonomous vehicles, in a safe, controlled, but otherwise real-world environment. 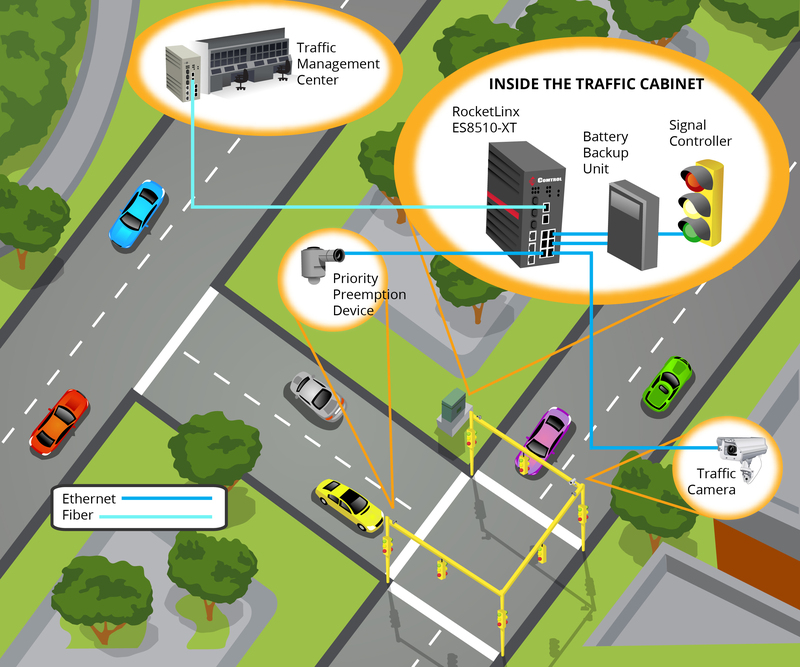 At Mcity, each set of traffic signal devices in an intersection, on-ramp, rail crossing, crosswalk, etc. 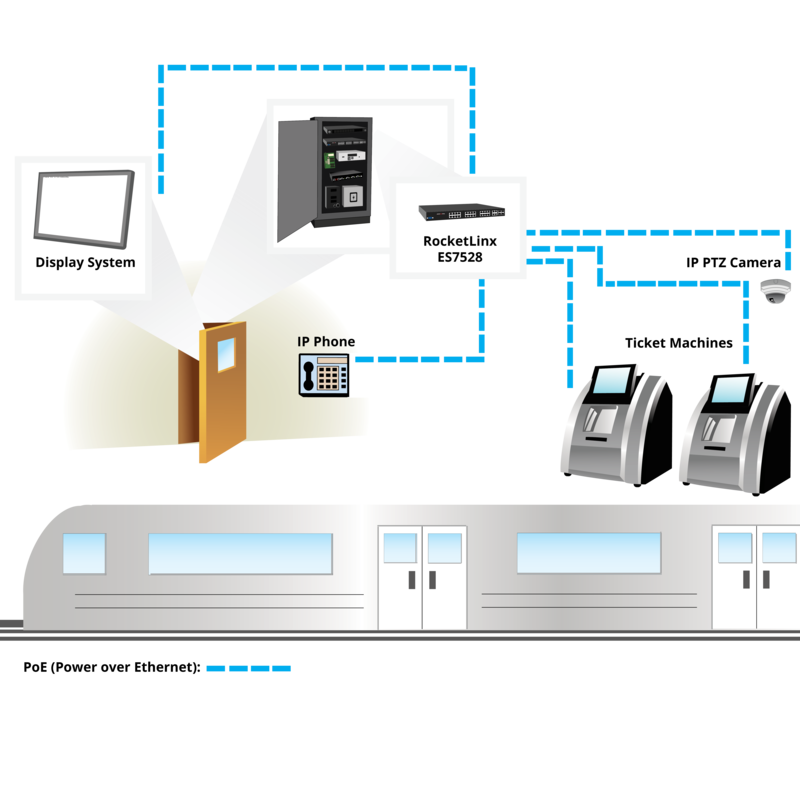 is connected to the facility’s traffic management network via a dedicated fiber link using Comtrol’s ES8510-XT switch. 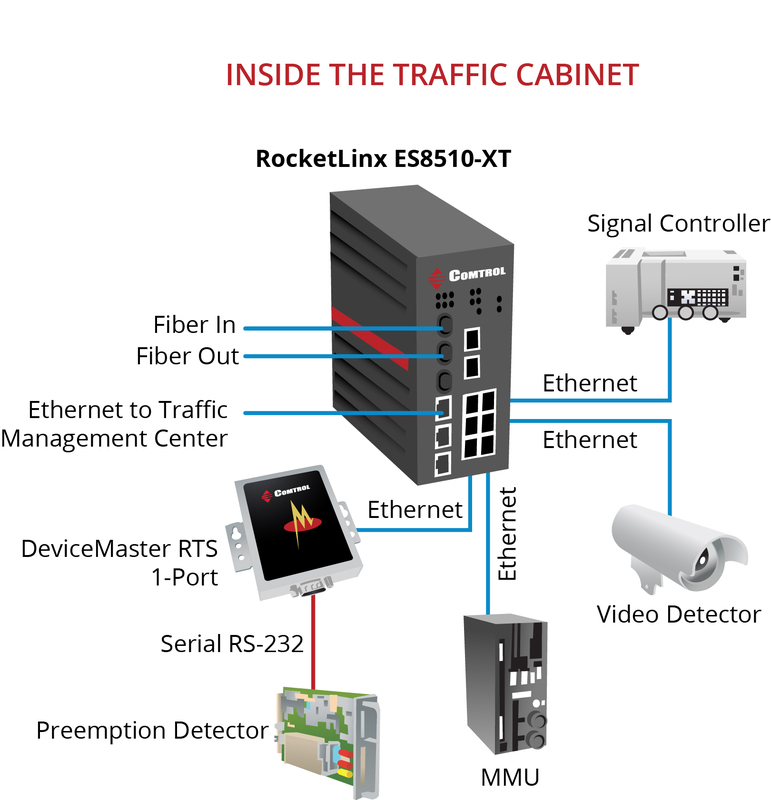 This network then consolidates each of those connections onto a high-speed backbone, which in turn connects to a state-of-the-art traffic control center, located near Mcity at the U-M Transportation Research Institute (UMTRI). 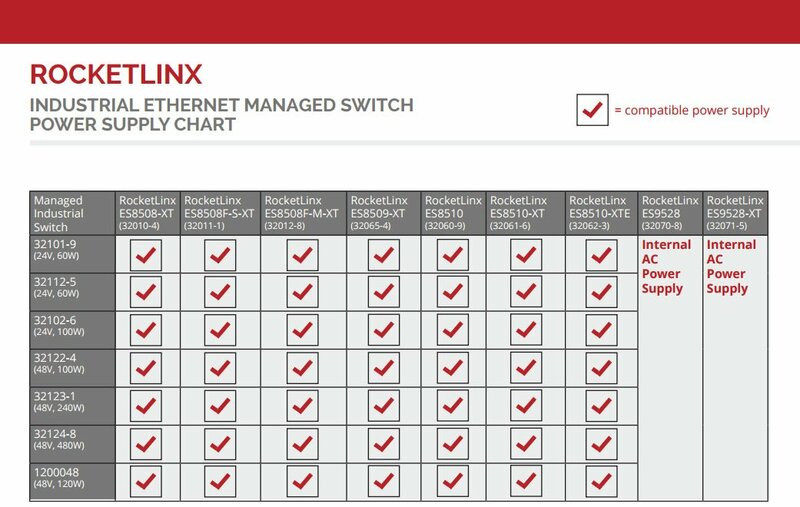 We’ve added a new ethernet power supply chart for both unmanaged and managed switches to all the RocketLinx Industrial Ethernet product pages on the Comtrol website. It is a link to a handy chart that makes choosing the right power supply for specific Switches fast and simple. We broke the chart up in two categories; managed and unmanaged switches. 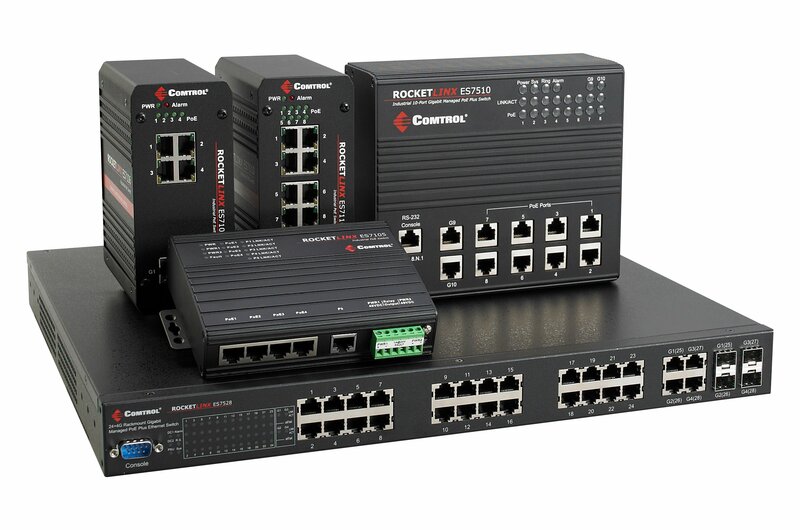 Many of our switches work with a number of different power supplies, allowing you to choose the right power supply for the specific application the switch is to be used in. 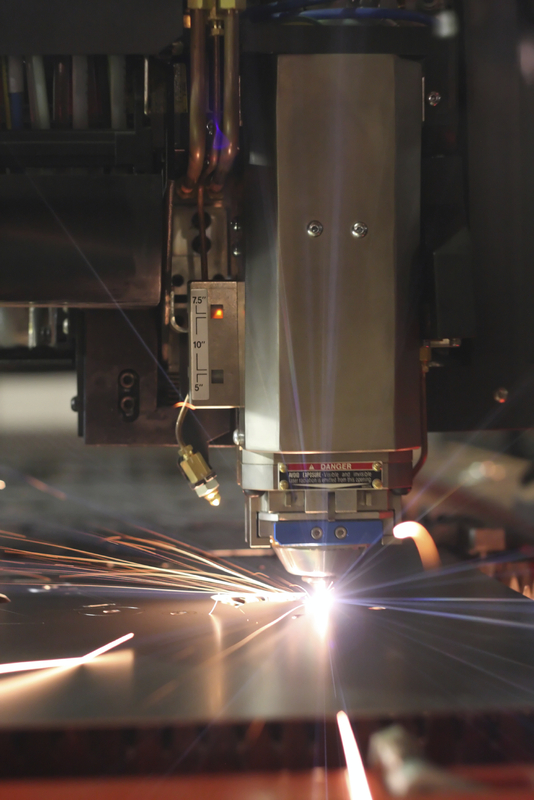 From simple external power supplies to DIN rail mounted, the new Industrial Ethernet Switch Power Supply Chart will help simplify your selection.